Barbara Franklin, a poet, decided to write about her ancestor, great-great-great-great grandmother Weepin' Mary, a slave on a plantation in Rock Hill, SC. When Babara had finished the poem, she thought she had done a good job. She thought she had finished, but then, she heard a voice in her head: "Oh no chil', you just scratched the surface." What followed was another 9-years of writing. In February of 2001, Barbara staged a production of her poem at in Augusta, at the Grover C. Maxwell theater. Since a score was not yet written, Alvin and his band played a mixture of Spirituals, traditional songs, and a few blues and jazz standards. Barbara asked her friend Michael Hennessy to video tape the show. By this time, Michael was the Broadcasting and Film teacher at the Davidson Fine Arts Magnet School in Augusta, GA. In 1993, Barbara and Alvin met Michael Hennessy on Artists Row in downtown Augusta, GA. Unexpectedly, Michael and Barbara enjoyed a lengthy conversation about the arts, Augusta, and matters of the day. Over the next few years, Michael and Barbara continued to enjoy their talks, most of which occurred at the "First Friday's" Art Openings on Artists Row. In 1995, Michael had concluded a rough time at an administrative job. Emerging from it, he finally got the courage to start screenwriting. At that time, the Internet was very new. Not much existed on-line to help anyone learn anything. So for several years, Michael bought and read every screenwriting book that Barnes & Noble sold. Sitting in the audience, Michael gasped. Although he was looking at Barbara reading her poem with occaionsional dances, pantomime, and song, Michael was imagining the work as a musical. The vision of the musical flashed through his mind as if he had seen the entire work in an instant but could not recount the details. In the late 1990's, Barbara asked her cousin, world-class musician Ralph M. Jones, if he would write an underscore for Barbara's poem. Ralph agreed but would work on it only when Barbara was sure she had the words to her satisfaction. A few days later, Michael asked Barbara if he could re-write her poem as a musical. Barbara replied, "What's a musical?" Barbara was hesitant. "Wait, you mean those silly things? ", she said. She was also a little weary of Michael. Although they were friends, his last film outing was not impressive, and he had never written a feature. However, Barbara, being a woman of tremendous faith, agreed, and Michael happily began writing a feature length musical. However, Barbara's friends were not pleased. "How could you agree to having your solumn work demeaned as a musical?" "How could you let that white man write it?" "He's not black." Michael had never written a song, but he believed that if he could complete this work successfully, then he would be able to write any story he desired. He remembered something from his youth. When Michael was a boy, his mother constantly played the soundtracks of musicals on 8-tracks. His older brother was a musical theatre accompanist. His mother was the choreographer for their high school's musical productions. Michael was a propmaker and performed the roles of secondary charactors in musicals for many years. As a teenager, Michael listened to musicals for fun. He would take a Captain America comic book, cue up appropriate selections from different musicals on record, audio cassette, and 8-track and play them at appropriate times to underscore the comic book. Michael never told people he did this, because life in a small southern town in the 1970's was not kind to this sort of thing. 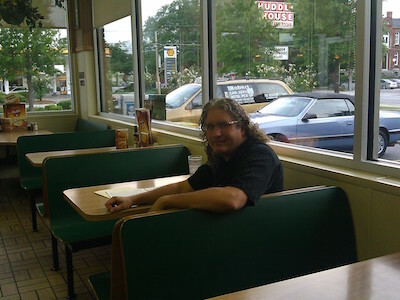 As for Michael's "whiteness", he had been teaching for a decade in Richmond County, Augusta, Georgia. Michael had attended numerous Black History shows and had earned the respect of his African-American co-workers. Occastionally, co-workers refered to him as "Brother Hennessy". This was a problem. Michael had never written a work of feature length, but he had motivation. Remembering the time in 1993 at Spirit Creek Middle School, an African-American student told Michael, "Things are worse now than they've evah been." Michael had wondered how this 13-year-old boy could imagine that having to learn Computer Literacy was worse than the choice between picking cotton or being whipped. Then Michael began to add material to Barbara's work, and without any knowledge of song structure, wrote a few songs. Within a few months, a first draft was completed. The show was called, "The Drum Maker", and a table reading was scheduled. The first table reading was a disaster. Attending were two of Michael white male friend and two of Barbara's African-American female friends. All the guests were in agreement. Michael's first draft was horrible. At the end of the scathing critique, Michael asked, "Should I quit and leave this topic alone?" Surprisingly, Barbara's friends looked at him and simultaneously shouted, "NO". "This work is too important. This story needs to be told. You just have to work on it till you get it right." Michael tried to re-write the script, but improving the work eluded him. Disallusioned, he took a year off from writing and earned a Masters Degree in Instructional Technology from Troy State, AL. During that time, Michael's life was a monotony of research papers in education and IT projects. It was the least creative period of his life. After earning the degree, Michael was faced with a dilemma. He could either quit writing and earn an Educational Specilist Degree, or not get the degree and continue trying to write. To help make the decision, Michael traveled to San Francisco to attended the famed "Story" workshop taught by Robert McKee. 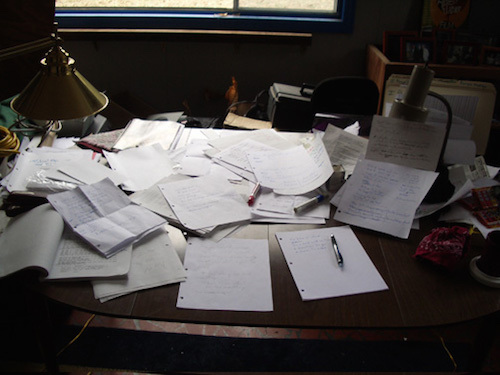 In addition to learning new insights into the process of feature structure, McKee stated the key to writing a feature was research. It was a strange coincidence the year spent writing reseach papers for a Master's degree would now be the key to re-write the musical. 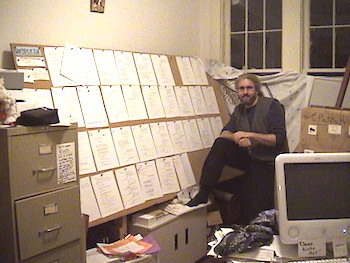 In San Francisco, the day after the McKee workshop, Michael re-wrote the outline for the musical. Returning to Augusta, Michael re-connected with Barbara and Alvin. They knew he did not quit, but yet, they were getting concerned that he might not ever get back to work on the show. Michael told them about the McKee class and said he was going to do new research in the "Slave Narratives" to find new and true material to use in adapting the poem. After researching for a year, Alvin suggest some additional cultural information for Michael to use. This new information was the basis for one of themost important characters in the story and enabled the work to leap forward. 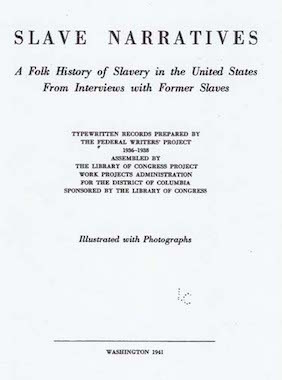 Michael began to read Slave Narratives. On the second day of reading, Michael decided to read the Narratives aloud. The effect was chilling. The people seemed to come alive. Michael read Slave Narratives for months. His speech pattern changed. Occassional, some of the stories were so emotive, he cried. To his strange surprise, he sometimes laughed. Michael realized that the rewritten show could have the same affect on the audience. He new the audience coming to a show about slavery would expect to see what they would expect, but what if they would also laugh? 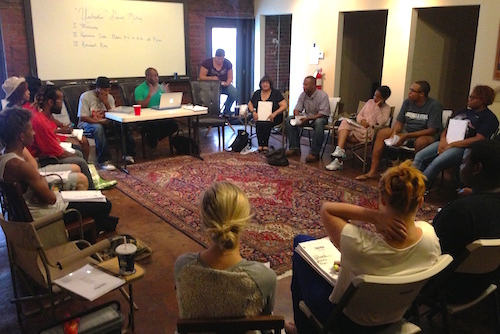 The 2006 table reading was held at the Cutno Dance Studio, then located on Greene Street, in Augusta, GA. Participating were 17 performers with an audience of about 40 people. The reading was a success, but still work remained. However, Jones was very busy with his regular teaching job at Cal Tech and Hennessy had not finished re-writing the next draft. So, Jones did not get the re-written script until 2007. That summer, Hennessy and Jones worked over the phone. Page-by-page, they went though the script. Ralph's time was pulled away, as he took a new position on the African-American Studies faculty at Oberlin College in Ohio. Ralph had to spend his time focusing on his new employment, and Hennessy was re-writing. In late 2007, a new city-wide arts festival was announced, The Westobou Arts Festival. 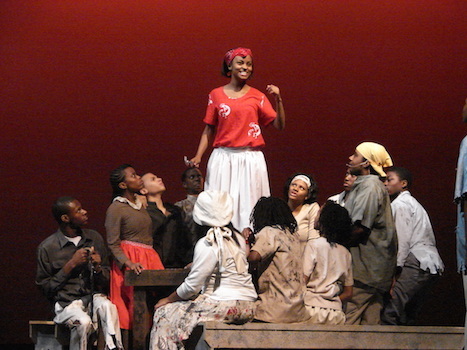 By then The musical, was called "Unbroken - the Slave Musical" and was selected for presentation in the Festival. "Unbroken" was given a performance date in September of 2008. However, the title still bothered Michael. He conducted a survey of parents and high school juniors and seniors at Davidson Fine Arts School. Most people prefered "Unbroken - the Slave Musical", so that name was decided. In the Summer of 2005, Michael wrote the first draft of the songs for Act 1. Writing in those summers, Michael would turn off the air-conditioning in his house. He thought the heat would encourage him to speak and write in a tone closer to the language of a slave in the sun. In the Summer of 2006, Michael wrote the first draft of the songs for Act 2. Again, without air-conditioning. Soon, a second draft was completed, and a table reading was necessary. Michael flew to Oberlin for over the Labor Day Weekend. Together, they pushed to the limit. They would talk about a song. Ralph would go and write the tune. Michael prepared the sequencer, Apple Logic, for the new song. They would meet and Ralph would play the song in parts into the sequencer. As Ralph would score the next song, Michael would clean up the last song played into the iMac Laptop. Michael would also have to re-write much of the lyrics, as Jone's compositions often did not match the lyrical structure Michael had written. The re-written lyrics would always make the score more authentic. In four days, 14 songs were scored. 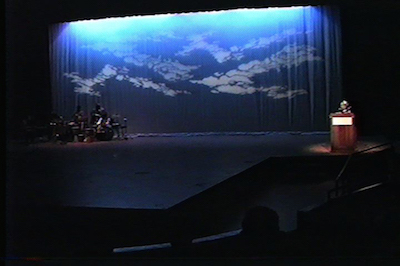 In early 2008, the show's performance venue of the Davidson Fine Arts Magnet School in Augusta, was selected. Michael had worked at DFA since 1997 as its Broadcasting and Film Instructor. By May 2008, the show was cast from students of the school who agreed to rehearse during the Summer. "Where's the music? ", they asked. Unfortunately, Jones new position at Oberlin College kept him very busy. He did not have time to work on the musical. The summer of 2008 came and went, and no score was written. Soon after he began the script, Michael and his brother Leonard began a conversation about the work. The converation continues years into the work. However, most of the songs were in pieces of chorus, verses, sections, and bridges. Jones did not have the time to practice the performance of the songs, Ralph would play each section only 2 or 3 times before playing it into Logic. Michael returned to Augusta with songs in peices. The cast was very concerned. They expected music. Michael spent late hours piecing together the parts of the songs. He used the Logic softwar to extract the base lines. He used other notes in the chords to create guitar sequencing and saxophone solos. During the workshop performance, people in the audience believed a live band was in the orchestra pit. 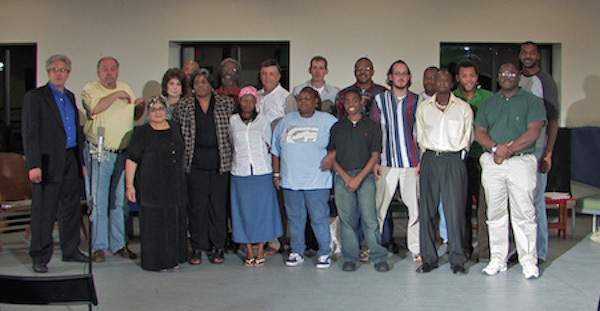 The workshop performance was held on September 25, 2008 at the Beverly J. Barnheart Theatre at Davidson Fine Arts School. The show was given two performances, one at 4 pm and the other at 7:30 pm. The show was called, "Unbroken - the Slave Musical." Both shows were an great success. Hearing the applause during and at the end of the show, Davidson Fine Arts School Principal Vicki Addison stated, "Well Mr. Hennessy, it seems you have a hit on your hands. Michael and Barbara were pleased, but both knew more work was ahead. 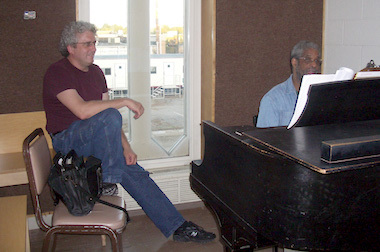 In the Summer of 2009, Michael returned to Oberlin to work with Ralph Jones on the songs. Some songs were discarded. Others that were not written in the last summer were given their initial drafts. Some were just improved. But the work was not yet complete. Another trip was going to be needed. John had a challenge ahead of him. John was...white and had a background in Western, European Classical music. Ralph's score was Blues, African inspired. To compound the differences, Ralph had not written out the score on paper, John was working with Ralph's unresearsed performance into the Apple Logic midi sequencer. Although the software recorded the performance attributes of all the notes, the timings and spacings of the notes across measures was impossible for anyone else to perform. So John had to listen and collect the notes, transcribing them from being spaced out across the staves to neatly arranged into something that resembled a "Real Book". The end goal was to make a score that could be played by any jazz combo, but yet would accompany the musical. Michael called this process "lightning in a bottle". Ralph was the lightning; John was the bottle. In late 2009, Michael met Jenna, a Veterinarian from Athens, GA. Jenna wanted to see the show, but the work was not complete. The songs had to be finished, and all the musical had to be professionally arranged. Michael needed an arranger, but he was broke. In the Spring of 2010, Michael made a spreadsheet listing every song for the show in order, and identified any underscore, sections of songs, or score that was missing from the work. This was a musical checklist. 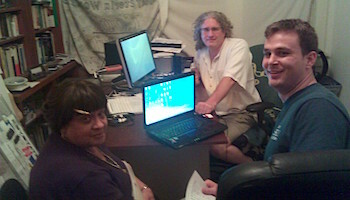 In the Summer of 2010, Ralph and Michael continued the score work in Oberlin. The work included writing a few new tunes and all the underscores for the work. Michael had even figured out how to use the word "Unbroken" in a song. Unexpectedly, Michael had make friends with people Oberlin, hoever, the show was now completed, and another workshop production was needed. A year later, 2011, Michael was not thinking about the show. He was thinking about getting married. 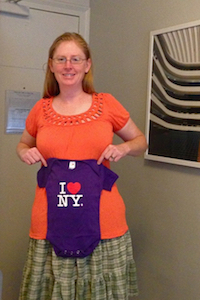 On a trip to New York in 2013, Jenna posted on Facebook the announcement of their expected child, Roxanne. Roxanne would be arriving in the late fall, but still, the Musical needed another workshop performance. A year later, July 7, 2012, Michael and Jenna got married on the front porch of Michael's house. The Reverend Alvin Franklin, and Barbara, officiated. Michael's brother Leonard was his Best Man. Why were there not enough actors? Twelve years after Michael's initial fears, nothing had changed. The area high schools with large African-American student populations did not have a history of drama programs. There was no community of African-American adults with high school acting experience. There were not enough African-American males in the dramatic arts. Michael speculated the reason for this is was the lack of dramatic material written for an predominanty African-American audience, and a lack of black oriented community theatre. There are great African-American plays and playwrights. But the quantity and impact of these works has yet to form consistent performance companies in rural and mid-sized cities across the country, and Augusta, GA was no exception. Michael realized another problem, even if he could get the work successfully completed, would there be anyone to perform it? The area high schools with large African-American student populations did not have a history of drama programs. As a result, there was not an community of African-American adults with high school acting experience. Although the local mainstream, "white" acting groups would often cast African-Americans in roles, there were just very few African-American males who enjoyed the dramatic arts. However, Michael was not detered. He believed this work might inspire inner-city high schools to create drama programs. Michael believed that performing dramatic work is different from any other school activity. Sports has an "us against them" mentality - a winner and a loser. Much to the opposite is the Theatre. In a theatrical perfomance, there is only an "Us". The audience experiences emotion because of the characters. The audience identifies, becoming the characters. Everyone wins. Everyone shares the experience. Michael believed this made the work take on not only the historical signifigance not only of the past, but it could become something that would shape the future experiences of generations of students. In February of 2014, Michael took a job writing the story for a reality video starring sports legend Dennis Rodman. A few years earlier, Dennis and a few others tried to make a reality television show. Hours of footage was shot, but no buyer could be found for the work. A local company had been in contact with the producers. The producers hired the Augusta company to cut the work into a feature. Michael was hired to create a story around the footage from two years earlier. Currently, an editor is cutting the footage. The work has not yet been marketed. However, Michael's name was listed in the press release. Seeing this as an opportunity to get press for his musical, within a day, Michael came up with the name: "Somewhere South of Freedom". Another problem was the title of the work, "The Drum Maker". Michael believed a good title would emerge from the work itself. It didn't. Michael's brother Leonard suggested "Unbroken". There was a book out called "Unbroken". Michael read the cover flap of the book and realized there was NO WAY a story as big as that would ever be made into a movie. Since a title can't be copyrighted, Michael tried out the title on the musical, but he added a few words to keep it unique, "Unbroken - the Slave Musical". Michael's disappointment of not being able to show his wife his musical was soon put aside by the the birth of their daughter, Roxanne, in late 2013. Work on the musical stopped for a time. One song needs to be rewritten. The page numbers must be added to the score. Most importantly, a theatre producer / director is needed to bring the words to life. Barbara wanted to know why Michael wanted to write a musical about something beyond his cultural experience? After a several weeks of reading Slave Narratives, Michael began to speculate on an unknown aspect of African-American history: the unknown and untold stories of bravery and heroism that numerous slaves must have demonstrated. Anyone who was witness to these heroic acts was either an escaped slave who kept silent in fear of being discovered or was a white slave owner who suppressed the truth to prevent the feeling of hope and thought of rebellion in other slaves. Michael's research was also musical. Michael had been a sound engineer for a local jazz band and a big band for seven years but now had to expand his knowledge of America's music. He listened to hours of old recordings of traditional African music, shouts, blues, and spirituals. In Feburary of 2005, Michael's knowledge was put to the test as he and his students produced the Black History Show at Davidson Fine Arts School. Michael began by making an outline of Barbara's poem and tried to write songs to tell the story. This proved difficult and ended in failure. 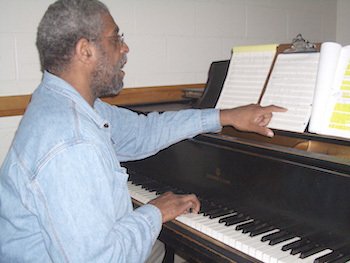 Attending the reading was composer Ralph M. Jones. He was surprised. Jones had expected a poem. He was not expecting a fully formed musical. He had never written a musical score. Hennessy replied, "That's okay, it's my first musical; you'll be fine." One day at Davidson, some music education students from the University of Georgia were visiting. Michael spoke with them outside of his film class. He asked if any of them were arrangers? They were not, but they had of friend who did, John Hennecken. John was an Augusta native, getting his PhD. in Arrangement and Composition. John said he never had a professional job arranging. Michael replied, "That's okay, it's my first musical, and Ralph's too; you'll be fine." 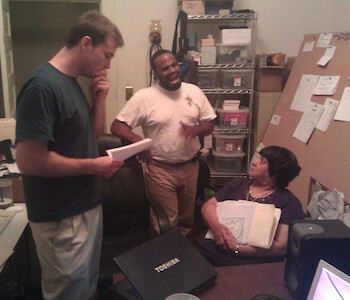 Michael and Barbara tried to mount a workshop performance in Augusta during the Summer of 2013. A lot of women auditioned, unfortunately not enough men auditioned. One month into rehearsals and show was not fully cast due to the lack of male actors. The moment had come to write the check for the theatre, but Michael had to cancel the performance. 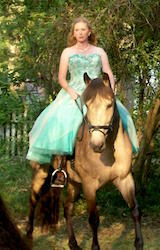 Jenna surprised the 100 guests by riding her horse, Charlie, from around the back of the house and up the center isle of chairs. It was a great party.